Emma asked me to be a Guest today for her Imagine Nation Monday series. Woo hoo! I adore Emma, so of course I said, “Yes!” I’m so glad she asked me because it gave me a reason to get back to my Imagine. I’ve left it alone for weeks and it was very sad. I used the Lori’s Garden Cricut Imagine cartridge, white cardstock, some adhesive and a $3 photo frame from Walmart to create a quick gift for my husband’s aunt who loves birds. You can see I also stuck some of the birds to one of those containers that I previously turned into a hurricane lamp. It’s perfect for adding some flowers! I have more information and photos at http://www.joyslife.com/. Thank you for inviting me to be a part of Imagine Nation Monday. You ROCK EMMA! WHOOOHOOO!!! Congrats Miss Amanda! Email me your addy so I can mail you your prize! OH, BTW, you won My Pink Stamper's "Buggy Punnies" stamp set!!! These are both very beautiful projects! Both projects turned out so cute! I can't wait to try the shrinky-dinks with my Imagine! Thanks for the video Emma! Wow!!! This is so cooooool! Love the bracelet! So super cute Emma! Thanks for the great challenge! 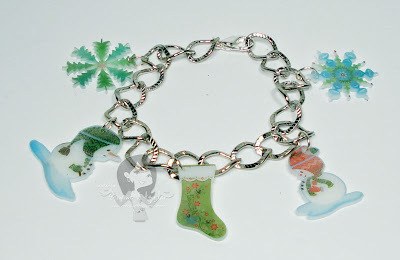 Emma I'm so in love with this bracelet I love snowmen. I haven't used shrinky Dink in a long time going to get my out. I was wondering they make white S-D and maybe the colors would be brighter with it. But I love the soft color on your bracelet. A little hint for you when you open your jump rings push one side away from you and the other towards you hope that make sence they go back easier. Just a little love toward you. Love your Bracelet Emma! 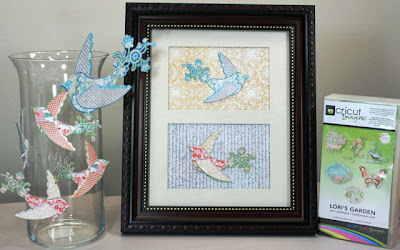 It is adorable and such a neat idea for gifts! Thanks for sharing!!! I chose you for the Stylish Blog Award because I love your blog and you are very inspiring! I hope you accept it! Check out my blog for details! Emma, this is SUPER SUPER CUTE!!! Ooh Sweet sweet Emma! You are soo clever!! I LOVE your bracelet to bits my friend! Emma your bracelet is SO PRETTY! And Joy, your projects are beautiful! I love the bracelet, thanks for the video. So cute, such a clever idea! I have posted my 12x12 Frame I did for a friend's birthday. Thanks for an awesome challenge!! I love this blog!! Great idea for the bracelet. I may have to try this one out soon.